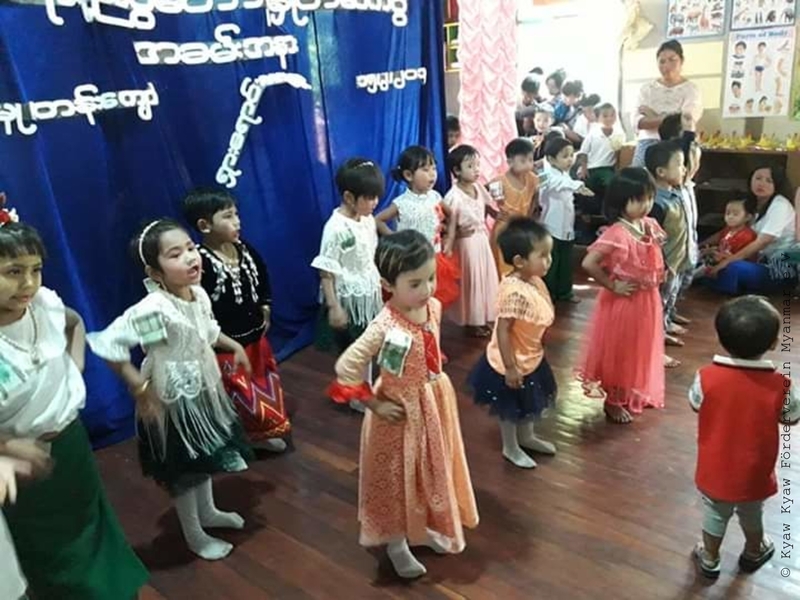 The school year in Myanmar ended last week. The holidays have started and the restart will be on June 1st, like every year. 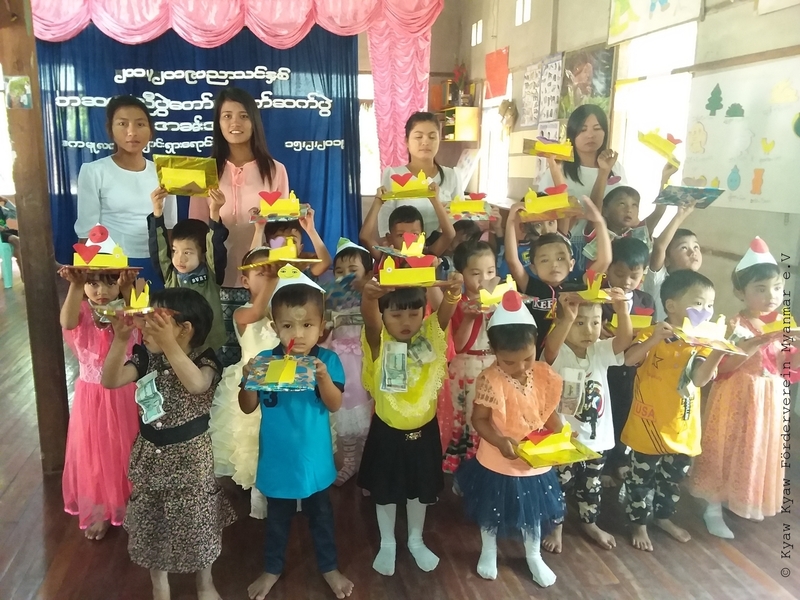 What Kyaw Kyaw, our supervisor in Mingun, writes on this occasion is a great encouragement for the work of the Förderverein, which has brought child-oriented education into the country. 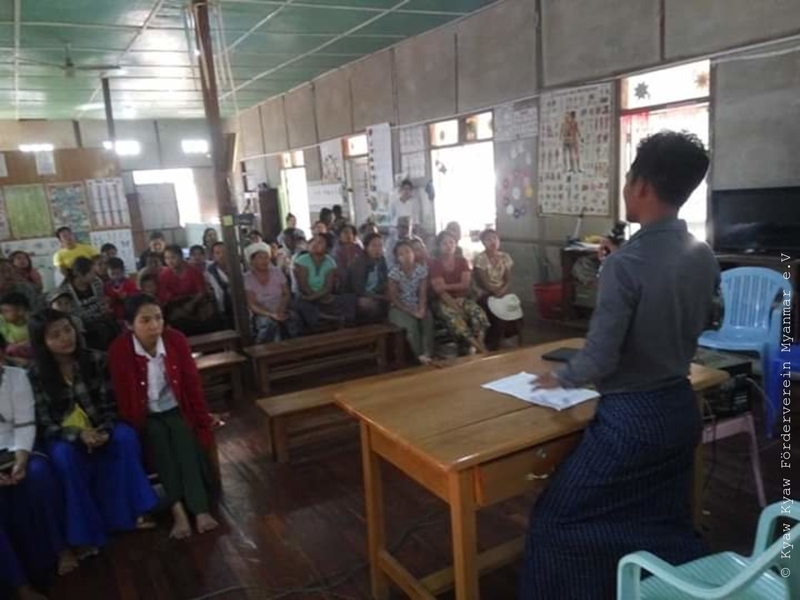 On an official video of the Ministry of Education from Naypyidaw even these teaching and learning methods are presented as forward-looking for all schools of Myanmar. Instead of rote – learning – learning by heart and monotonous repetition – the children we care for learn with material suitable for children, with pictures, with understanding, stimulating examples through trial and error and with a motivating variety of self-experience possibilities. 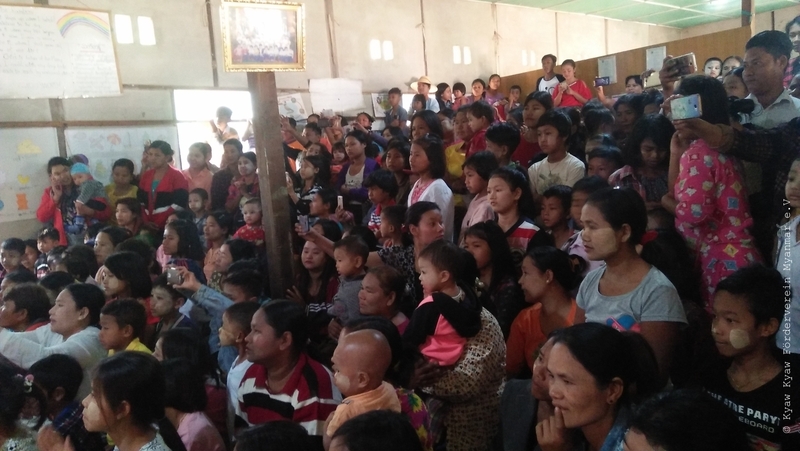 Kyaw Kyaw himself is amazed how the parents now accept these child-appropriate methods, after they were of course only very doubtful whether their children would learn properly and not just play. With great joy they see the early independence of their children, their responsible handling of information and knowledge, their growing creativity. The Förderverein is very proud of this. Our goal, to bring more education into the country against the unindebted poverty, seems attainable. The pictures of the closing ceremony speak for themselves! What must happen next is the abolition or fundamental change of the annual exams. It has been announced, but we are waiting for it to be implemented. If more than 60% of the children fail these examinations and tests, then this clearly speaks for nonsense. Exams are not designed to be selection tools, but the result of learning progress in a school year. So we must tolerate the annoying “Tuition”, a private tuition as “second learning” – even during the holidays – and thereby support our sponsored children to increase their chances of success. As a result of these failure rates, countless private tutoring schools have been established throughout the country, which cost a lot of money. But the parents of our godchildren do not have exactly that. They are poor, and so, together with our teachers, we have built up a school’s own Tuition System, which we finance. For this and for new toys and teaching and learning materials for the new school year we ask for further donations. It is especially positive that our teachers offer additional English and computer lessons and not only for our godchildren.